Myrtle Beach South Carolina is home to some of the most sought after waterfront real estate in the entire world with over 60 miles along the Atlantic Coast known as the Grand Strand. Myrtle Beach Real Estate Group provides information and property listings for the entire Myrtle Beach area including Carolina Forest homes, Myrtle Beach luxury homes, Myrtle Beach condos, new homes and beyond from the forest to the beaches. We also offer coastal real estate in the cities of North Myrtle Beach, Surfside Beach, Murrells Inlet, Garden City, Little River, and Pawleys Island and through our search options you can search all the properties in the area including foreclosures and short sales. The Myrtle Beach Multiple Listing Service search option allows you to easily search the Myrtle Beach MLS for all Myrtle Beach homes, Myrtle Beach condos, or even find land or a lot to build your dream home! New properties and homes for sale are added nightly (including foreclosures and short sales) so be sure to check back often! Myrtle Beach offers a diverse array of South Carolina real estate offerings from oceanfront condos overlooking the Atlantic Ocean to homes in Carolina Forest with lake or golf course views. Nature Lovers will be amazed at the beauty of the numerous preplanned communities throughout the Grand Strand that have been developed to enhance the experience of the natural environment in a spirit of coexistence. Golf lovers will be overwhelmed by the choices from over a hundred golf courses in the region including the only Tournament Players Club course in the state. 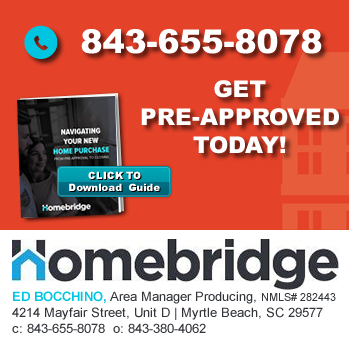 We are experienced and knowledgeable Myrtle Beach REALTORs. We are experts in the Myrtle Beach area and in the current properties available. We want to expedite your home search and make it as easy as possible for you. We will ask you questions, listen to your needs, and find the Myrtle Beach homes and properties that best meet your criteria. We want to guide you through the home buying process so that you are completely comfortable and stress free. Navigating the sale of your Myrtle Beach property requires a complete working knowledge of the local real estate climate as well as the most aggressive and individualized real estate marketing available for your property. You need an aggressive and experienced local REALTOR with a proven track record to provide you with the information and expertise to sell your home, and the most powerful media to maximize your property’s exposure. We provide our property sellers with a comprehensive real estate marketing strategy that combines our vast knowledge of the local market with wide ranging advertising that is second to none. Over 90% of home buyers begin their search for real estate on the internet. The cornerstone of our marketing plan takes advantage of the full power of the internet with high search engine placement. Every property that we list is featured on our website with beautiful photographs, detailed descriptions, and in depth information, allowing your property to attract the perfect buyer. We are constantly increasing our exposure and activity online in order to get more exposure for your properties. To sell your Real Estate in Myrtle Beach quickly, efficiently, and for the highest possible price, you must be represented by an experienced real estate agent who is intimately familiar with the local real estate market, and will provide you with individualized advice and service. We are those agents! We will direct you in preparing your home for sale, provide you will all of the information you need, help you to make your property stand out from the crowd with “curb appeal”, and aide you in pricing your home optimally to sell for the right price in the right timeframe! For more tips on preparing your home to sell and pricing, visit the Sellers section of this website. Find out what your home is worth today, contact us for a FREE CMA! If you are thinking about relocating to Myrtle Beach or if you want to buy a vacation home or investment property Myrtle Beach has it all. We look forward to sharing with you all that Myrtle Beach Real Estate has to offer! Call 843-424-6900 or email us today!